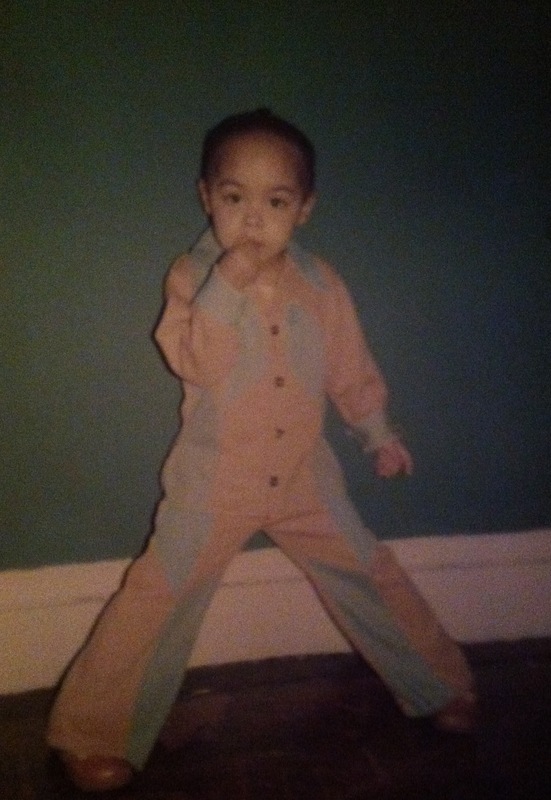 Me in my patchwork bell bottom suit. Might these have been the pants I was objecting to? Although my mom claims my fashion awareness started in kindergarten, I remember first becoming passionate about fashion in the 5th grade. There was this girl in my class, I think her name was Holly, who had a pair of Guess jeans that I just had to have. Before falling in love with those jeans, I had never coveted anyone else’s clothes, let alone been aware of what others were wearing. That was my turning point. My new found awareness of fashion sparked what would become a lifetime habit. So it was around the age of 11 or 12, I became a fashion magazine junkie. 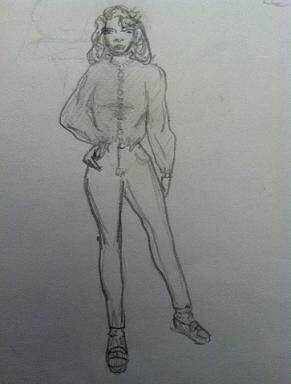 Inevitably my preoccupation with fashion manifested in a hobby of mine, drawing. I have always loved to draw and I started keeping a sketchbook around the age of 10. Once I became interested in fashion my sketchbooks were no longer filled with pictures of landscapes and Garfield the cat. Instead I drew pictures of girls in clothes. I drew the clothes that I fancied and wanted for my own. I drew clothes of my own design. I even drew sketches of the clothes in my closet. A drawing from one of my old sketchbooks. Note the 80’s hair and penny loafers. As I became an adult my magazine habit endured. I’ve long since graduated from Seventeen magazine to InStyle and Lucky. Unfortunately, however, my devotion to maintaining a sketchbook has faltered. College, parenthood, and career took precedence over trying to hone my skills as an artist. A few months ago, I decided to renew my focus on developing my skills as an artist. And though not all my drawings are of beautiful women wearing wonderful clothes, I must admit fashion illustration is definitely one of my favorite forms of artistic expression. 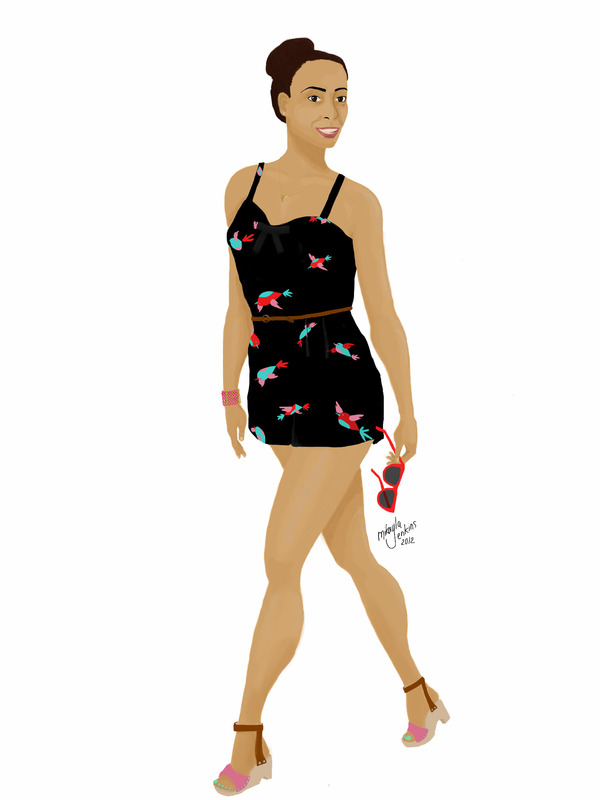 Here is my first attempt at fashion illustration since I started drawing again. I built the outfit around the playsuit, which I would have loved to buy but my size was out of stock! I love this playsuit because you can dress it up with heels and bold earrings, or dress it down with cute flat sandals and a pendant necklace. On a day when the temperature is approaching the century mark, nothing beats easy one piece dressing. I’d like to think that my 5 year old and 12 year old self would approve of both the outfit and the drawing.